Forget about having a sixth sense. In addition to sight, smell, taste, touch, and hearing, humans can you actually sense at least 20 different things. 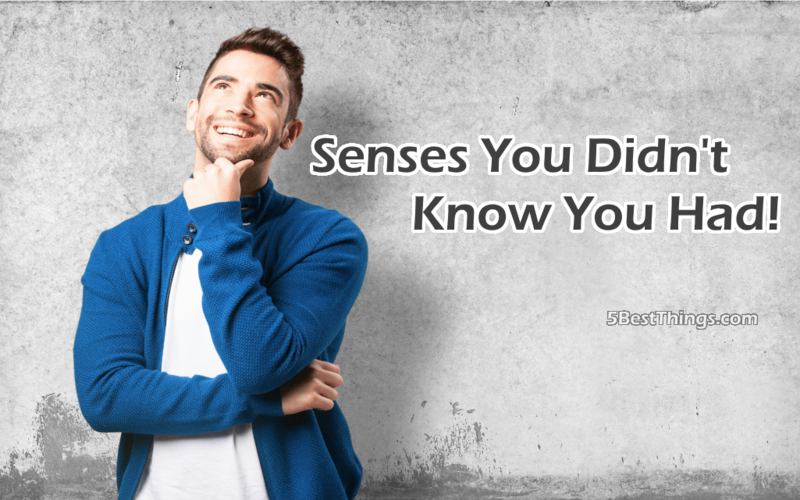 Find out 5 of those senses that you never knew you had. This may be one of the most interesting senses since everybody seems to perceive it differently. Some people can accurately guess the exact time within a few minutes even without the use of a watch, while others are hours off. This definitely explains why some people are on time more often than others. Everyone’s sense of time is a little different and changes depending on what our other senses are letting us know about the outside world. What also makes our sense of time unique is that our perception of the amount of time that has passed changes greatly based on what we are doing. How many times have you sat in front of the TV for hours yet felt like no time passed, or felt like you had been waiting at the doctor’s office for hours already when it had only been a few minutes? Everyone knows that familiar feeling in the pit of your stomach that lets you know it’s time to eat. The sense of hunger is another important one because it allows your stomach to signal your brain that you need more food. If you’re not getting enough food, then your body simply cannot function the way it’s supposed to. This sense is also connected to a feeling of satisfaction, knowing when you’ve had enough to eat so you can stop eating. This is certainly one that some people do not have as developed as others, which is how some people end up hopelessly lost while others always seem to be able to find their way home, even if they’re in an unfamiliar area. With time and training, people can improve this sense which will help them if they do find themselves wandering further off the beaten path than they’re used to. This is also sometimes referred to as a sense of position, but it goes a lot further than knowing what position your body is in. It also means that you’re able to tell where all of your body parts are compared to the others. To demonstrate this sense, all you have to do is close your eyes then bring your hands together in front of you. Your ability to bring them together even though you couldn’t see shows that you knew where your hands were without having to look to locate them.